Brandon is a Financial Advisor at Financial Compass Group, LLC who specializes in the areas of wealth management, risk management strategies, employee benefits and retirement income. With a strong desire to help others reach financial empowerment, Brandon has earned the Wharton Business School Certificate in Retirement Planning and works closely with other Financial Compass experts to ensure his clients feel confident about their future in regards to wealth accumulation and retirement. Brandon understands the intricacies of permanent life insurance and is regarded for his ability to perform audits on existing life insurance policies. He is focused on educating policyholders on the increased need to pay close attention to their permanent life insurance policies. This includes coordination with their estate planning attorneys, tax advisors, and in many cases trustees to advise on solutions. His quest to excel as a financial advisor combined with his genuine desire to help his clients in every way has earned Brandon several industry and company-specific awards early in his career. He has achieved the annual production milestone of National Leader Corps (NLC) and is a qualifying member of the prestigious Million Dollar Round Table (MDRT), an international network of the top 5% of financial professionals globally who serve their clients with exemplary performance and convey the highest standards of ethics. 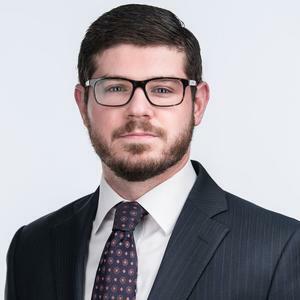 Brandon is also a member of the Boston Estate Planning Council and is actively involved with The Jewish Federation of Boston.